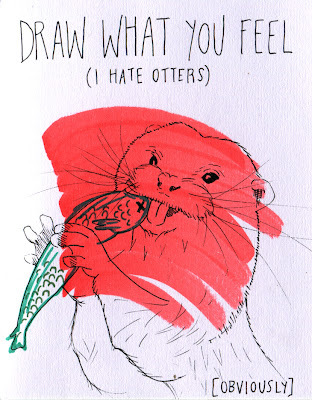 i should probably mention that i do not particularly like otters. 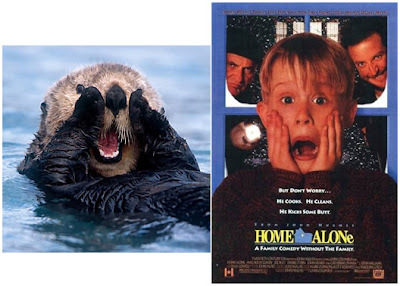 maybe because i LOVE sea otters and other otters just do not compare? although this one is the smallest otter in the world, and that's got to count for something. the real guy looks more 'challenged' than this one - i think the red doesn't help and just makes him look kind of crazy. 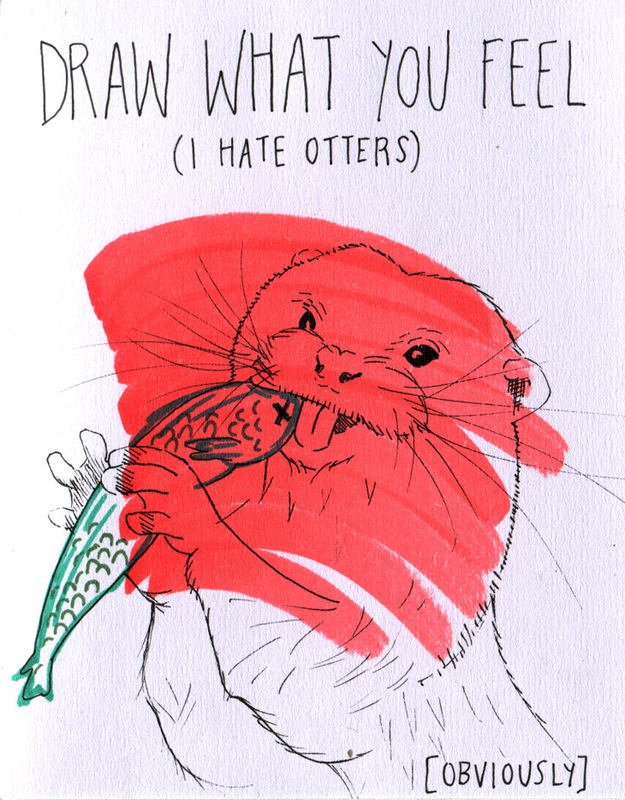 as if i almost only have one hundred drawings to go! how excitement. guess i'll have to pull out the stops soon. either that or dwindle out to nothing over the course of three months.